How long do Motorsport Tires last? Is the cost of speed worth it? The cost of speed is high. Even at the grassroots or recreational performance driving level. Performance driving event entry fees aren’t cheap, and if you’re a dedicated High Performance Driver Education (HPDE) enthusiast, the ongoing cost of “consumables” like brake components and tires tends to add up in a hurry. As detailed in the performance advantages of motorsport tires, there’s no more proven, surefire way to cut lap times at the track. In the hands of an experienced wheelman, motorsport tires can net many seconds per lap as compared to street-oriented performance tires. But before making the leap to motorsport tires to enhance your track day experience and finally achieve that elusive podium position in your HPDE run group, you might be wondering how long the fun will last. Here are some factors to consider, and things to know about the tread life of motorsport/track tires. Motorsport tires exist to enhance vehicle performance, not to achieve maximum street mileage. 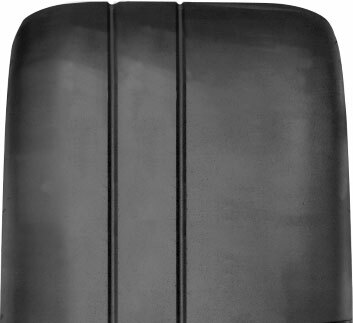 Durability within extreme driving environments is a unique characteristic and advantage of motorsport tires, but don’t confuse robust construction with tire mileage in a conventional sense. This is reflected by the fact that unlike most other types of tires, true motorsport tires don’t come with a tread life (mileage) warranty. Due to the minimal starting tread depth, performance engineering orientation, and intended use in extreme environments, a typical tread life warranty isn’t applicable. Motorsport tire users should be aware that warranty claims on the basis of tread life (tread depth) aren’t possible. 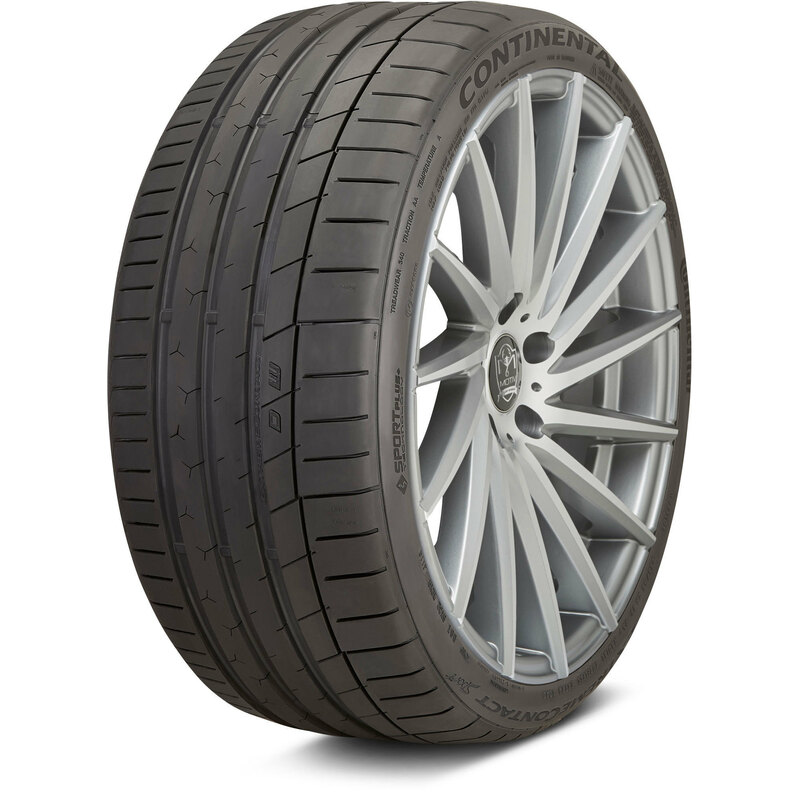 If achieving a relatively predictable street mileage is a priority, consider Ultra-High Performance (street) alternatives like the Michelin Pilot Sport 4 S or Continental ExtremeContact Sport, both of which come with mileage warranties. Tire life is typically defined according to tread depth. A set of tires is expired when they reach minimum tread (2/32" of tread groove depth). Motorsport tires are a different breed. The minimal starting tire tread depth is often quick to wear, and many motorsport tires are designed with “shaved,” or partial tread depth in mind. In fact, the process of shaving to reduce tread depth from the outset (to maximize dry condition traction) is common. Tread depth therefore doesn’t define the full tire life of motorsport tires. Tread depth does, however, continue to govern the potential for public road use and variable road conditions. See below. Many motorsport tires are actually engineered with an eye toward partially worn, “Semi-Slick” characteristics. 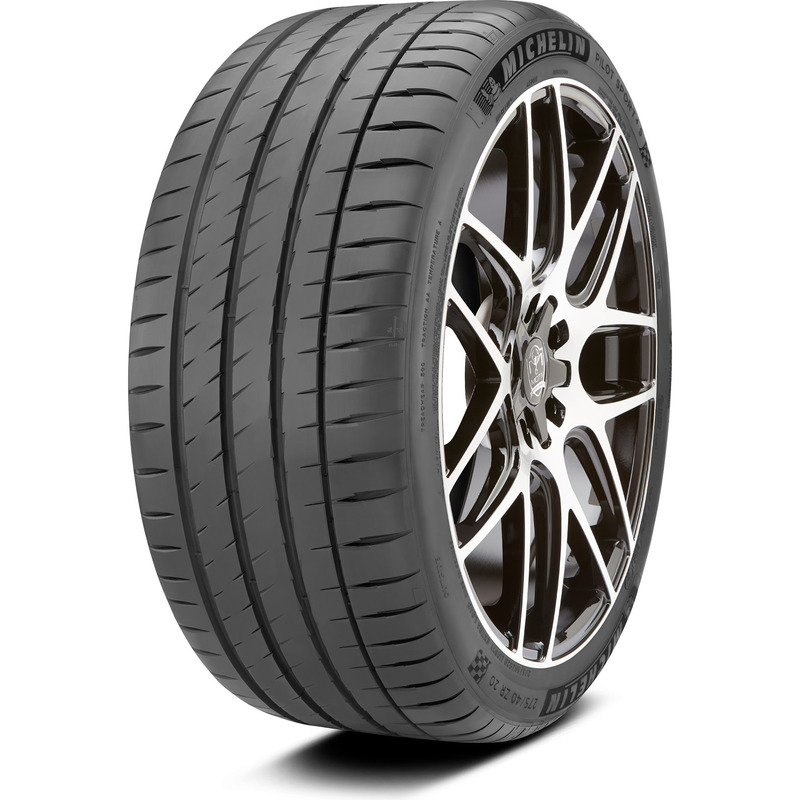 The Nitto NT01, for example, turns into a Semi-Slick at just half tread life (3/32" of tread depth remaining). However, the life of the tire for dry condition track running is far from over when it’s in this wear state. Nitto NT01 tread at 3/32”remaining tread depth. Just the two circumferential grooves remain. Despite the low tread depth, this Motorsport Tire has plenty of dry condition performance and life left. 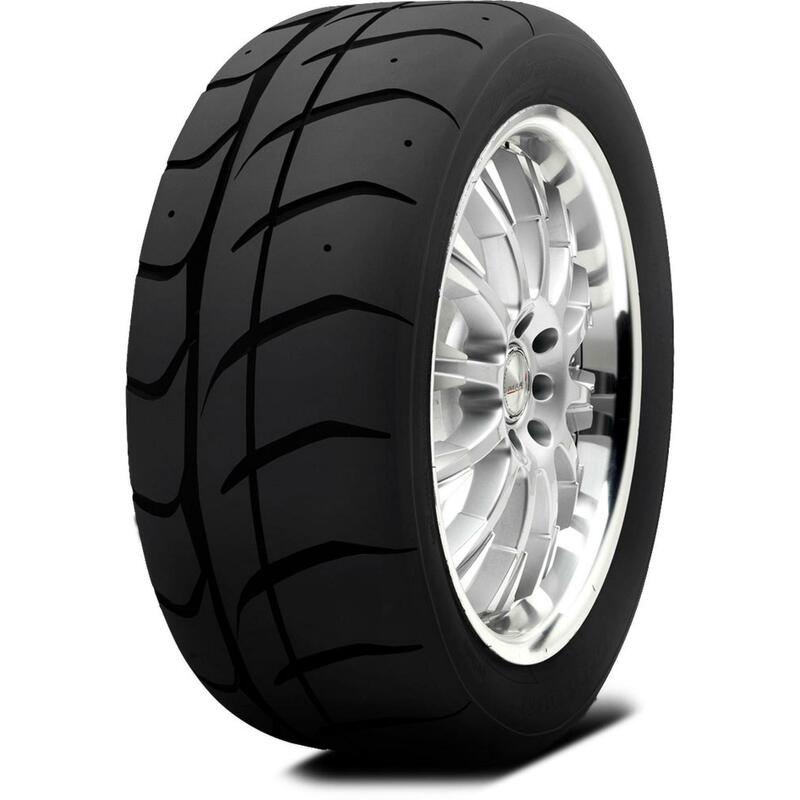 With typical road use, motorsport tire tread is generally very quick to wear. Once again, durability and strength in extreme performance environments doesn’t equate to long mileage under standard road use. And while partially worn motorsport tires are still suitable for use in closed course, dry conditions, they shouldn’t be used on public roads and in variable, or wet road conditions. Of course, vehicle weight and characteristics play a major role in the wear rate of motorsport tires. A 2,500 lb. Miata is going to be much easier on its tires when driven aggressively than a 3,800 lb. 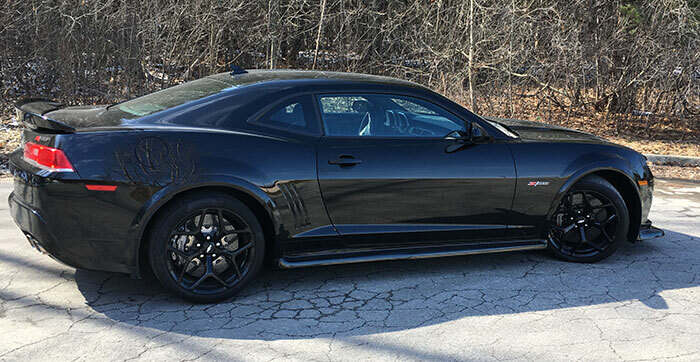 Camaro Z/28. Vehicle weight and characteristics can quite literally halve or double the life of motorsport tires, depending upon which end of the scale your vehicle lands. Motorsport tire life can be extended according to driver habits and how he or she treats the tires. Ideally in a performance driving context, tires are methodically warmed up to optimum temperature and pressure (warm up time/laps vary according to the track), run hard through a session, then cooled down over the course of a lap. Motorsport tires shouldn’t be subjected to large fluctuations in temperature, and sub-freezing conditions. Due to the unique compound characteristics of motorsport tires, sub-freezing temperatures can cause premature tread compound degradation. If you live in a region with true winter conditions, storing your motorsport tires inside through the cold months will help to extend both tire life and peak tire performance. Motorsport tires are engineered with strength and durability in extreme driving environments in mind. However, that robustness does not usually translate to significant street mileage. If used only on the road and track, motorsport tires might last 2,000-3,000 miles (or even less) before tread depth is at the minimum level and public road use becomes impossible. As far as use in dry, closed course track conditions, tread depth does not define the life of a motorsport tire. Its life continues well into the “Semi-Slick” tread state. 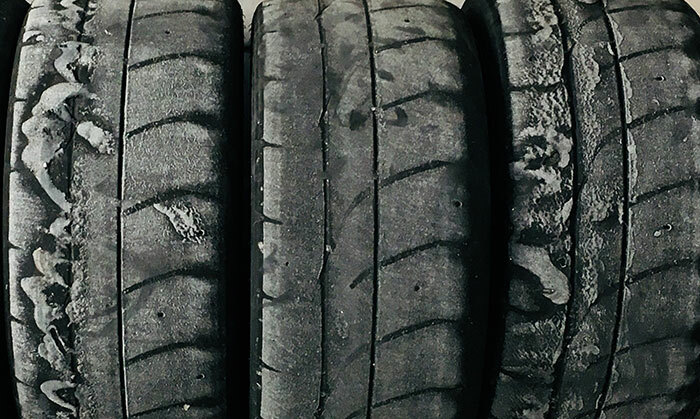 Vehicle weight, as well as vehicle alignment and setup optimization (camber, toe) can either help to extend or hinder the life of motorsport tires. Driver habits and tire treatment matter. As with any other type of tire, “abusing” motorsport tires will shorten tire life and tread compound effectiveness. Avoiding cold, sub-freezing conditions will help to extend the life and performance longevity of motorsport tires. Want to discuss motorsport or performance tires for your vehicle with one of our tire experts? Give us a call at 866-961-8688.